The Dubai Executive Council, the Dubai government’s leading policy-making body, over the summer announced a package of service-fee reductions aimed at cutting the cost of doing business in the emirate, and aviation fees were a prominent feature on the list. 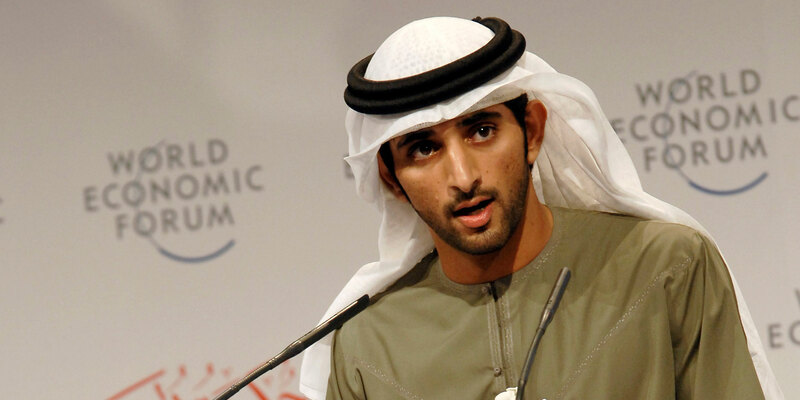 “To develop Dubai's aviation sector, we are canceling 19 fees related to the aviation industry and to aircraft landing permits...Dubai is a global hub for the industry and our hard-won position in this sector needs to be strengthened,” Crown Prince Hamdan bin Mohammed Al Maktoum, who leads the Executive Council, wrote on social media on June 6. AIN obtained a copy of the circular, addressed to aviation companies, air charter and private jet operators operating from DWC (Al Maktoum International) dated July 8, referring to the “Waiver of NOC (No Objection Certificate) Fees related to aviation business and landing permits.” Although the list appeared to be limited to NOC fees related to setting up various aviation businesses, and landing permits of various durations, industry participants said that actual fees had also been canceled. “The fees have also been waived. There is no longer any charge to apply for a landing permit. I couldn’t say whether this applied to business jet operators only, or scheduled operators as well. I understand the fees relate to landing,” Susan Bujtas, director, ground operations, Dubai-based DC Aviation Al-Futtaim, told AIN in September. Various jurisdications offer numerous examples of the requirement for an NOC. For example, it can be used to sanction the creation of an airline, subject to an official opinion being expressed about the suitability of a proposed business plan, or when transfer of location of aircraft registration is being considered, or when employee travel is approved by a sponsor company in the region. General and business aviation operators in the emirate of Dubai have complained that business has been flat in recent years, and government officials are anxious to cement aviation’s primacy in the emirate in the run-up to World Expo 2020, taking place at a site now under construction at DWC, which is expected to provide something of a bonanza for both scheduled and business aviation. “Today, Dubai is one of the world's most popular tourist destinations. Last year we welcomed 16 million visitors and look forward to receiving 20 million in 2020 when we host the [World] Expo,” the Crown Prince said in June. Industry participants have responded positively to the waiver of fees in the Dubai civil aviation sector as they affect business, private, and general aviation. “This is an important initiative by the GCAA (General Civil Aviation Authority) that covers a number of areas that positively affect both commercial and general aviation. The UAE government has always been supportive of the aviation industry and again their proactive actions in this regard are appreciated,” Mark Hardman, managing director Middle East of Antwerp- and Luxembourg-based Flying Group, told AIN. Other officials said that the fee waivers had had a positive impact on the industry. “Already, they are making it easier to go and invest and establish yourself in Dubai South, be it registering a legal entity to operate there in an aviation capacity, right through to landing fees and permits,” Luxaviation Group executive vice president, aviation services, Mike Berry, told AIN at the end of October. “Last year, they introduced annual landing fees for locally registered aircraft but this was then removed. There are issues at peak times but other than that, the authorities make it easy for you, especially if you are coming in and out for MRO,” Paras Dhamecha, executive director, Empire Aviation Group, told AIN.